Usually Sundays are my hair wash days but since I put my girls to bed early Saturday night I took the opportunity to wash my hair then. I got into a bzzcampaign through BzzAgent.com to review Neutrogena® Triple Repair Hair Care for free and give my honest opinions. I'm kind of a fan of Neutrogena's products. I remember back in the day I use to use their orange see-through medicated soap to help with my ance breakouts. I just may go back to using it again but in liquid instead. Also I really enjoy their Triple Moisture deep conditioner. Only reason I stopped using it because it only last me 2 washes and that's can start becoming very expensive if I keep buying it. So if you have damaged hair it suppose to help repair it. I, myself actually don't have damaged hair since I cut off all my damaged ends and I hardly ever use heating tools. The hair care system comes with shampoo, conditioner, and leave-in conditioner. Unlike other products that coat the whole strand of hair and weigh it down, fortifying proteins target the weakest parts of your hair to repair damage where you need it most, while nutrient rich conditioners penetrate deep to smooth and seal the hair cuticle and help prevent further damage. In the end, your hair will be more resilient to the daily effects of heat, coloring and styling. Neutrogena® Triple Repair Fortifying Shampoo & Conditioner mends 97% of split ends with just one use. Neutrogena® Triple Repair Fortifying Leave-In Treatment reduces breakage by 80%, leaving hair stronger, smoother and more nourished. Plus, it protects against heat styling up to 400° F, so you can get the style you want without the damage. *Hair Care System: Combined usage of shampoo, conditioner and leave-in treatment. Shampoo: Shampoo lathers up really well and gets my hair fully clean since I use a whole lot of products in my hair. But I will say I'm not happy with the ingredients in this shampoo at all. It's filled with harsh chemicals that'll strip my hair of its natural oils. I may be biased since I only use sulfate free shampoo products, but I feel that's part of the reason why my hair is in a healthy state now. Conditioner: I will say about this conditioner is that it gave my hair great slippage. I could comb my hair with a wide tooth comb at ease. Once I raised the conditioner out, I immediately can feel a difference in my hair. 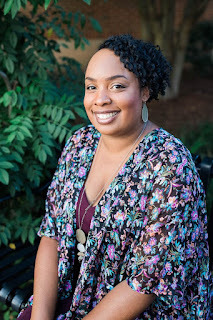 My hair felt much stronger and I was still able to comb through my hair without any tangles. Leave-In Conditioner- I actually used the leave-in conditioner as a deep conditioner since I ran out. It worked well doing it that way. I will say I added coconut oil to help get a better and deeper conditioning. 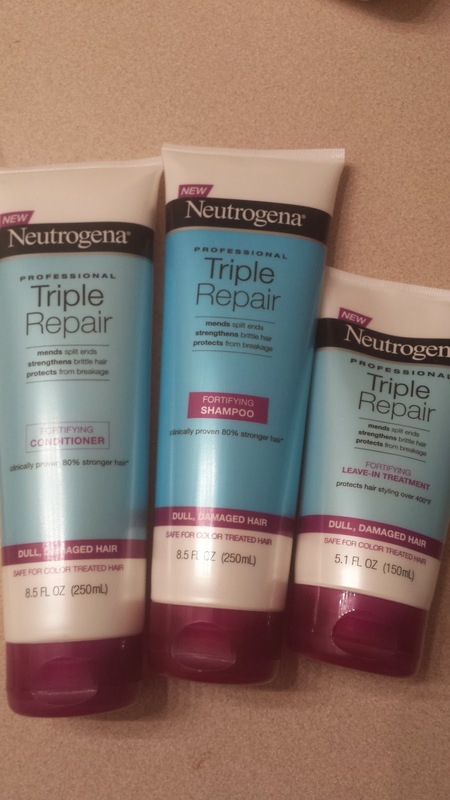 Neutrogena Triple Repair Hair Care Worth a Try? I'm not too thrilled about this hair care systems ingredients. It may work better for those that don't have dry hair like mines. Also, Neutrogena needs to make this system in bigger sizes because I'll go through all these products within 2-3 washes- I'm heavy handed. I am going to have to look into this. I am trying to repair my hair from a bad Keratin treatment experience but I have not found anything that can strip it completely out yet. I didn't really care for it Victoria due to the ingredients. The ingredients will dry out your hair. My hair needs a lot of moisture so I'll have to bypass this system.